A small PHP script that lets you automatically update your video streaming status from SpotterNetwork.org to your website or blog. Fully customizable with your own text, custom HTML, etc. Very simple to configure.. leaves a very small 5KB footprint on your web server. Instructions included within the script itself. 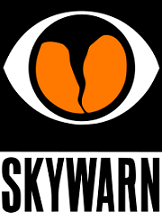 Requires PHP 5 to be installed on your web server and an active SpotterNetwork.org account with a video streaming service (SevereStudios, ChaserTV, TornadoVideos.net, iMap Tracker, etc.) added to your account. Free for personal, non-commercial use. This is a GRLevelX placefile that shows the tornado warning sirens in Tennessee. Be sure that you add the placefile with the link from this website or else you won't get the location updates as more sirens are added to the placefile. This file is open for contribution - if you have any information or additional siren locations that you would like to see added to the placefile, please send them to us! Be sure to include the exact coordinates of the siren location, along with the make/model of the siren if possible. Credit will be given for those who contribute. Do not base any weather information from this or any other website on the Internet to make decisions that could potentially result in harm to life or property.